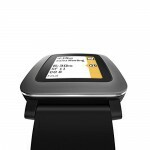 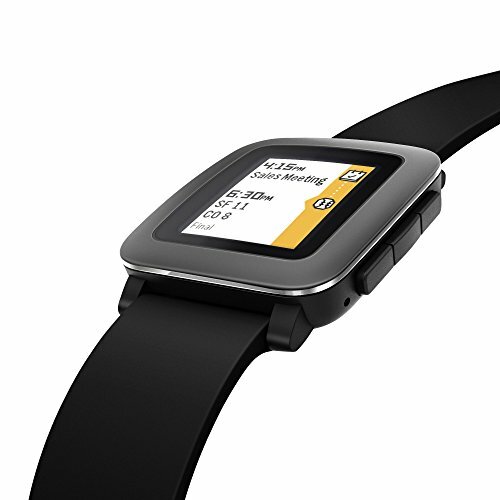 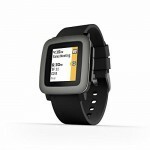 The Time is Pebble Tech’s latest smartwatch which incorporates a low-power, color display. 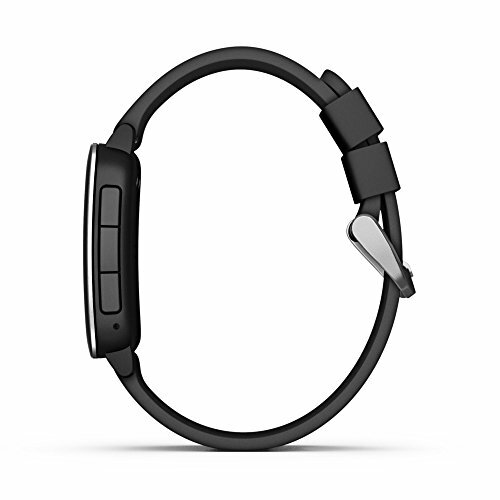 It will last for up to seven days on a single charge, and is water resistant up to 30 meters (so it’s safe to wear in the pool, shower, or rain). 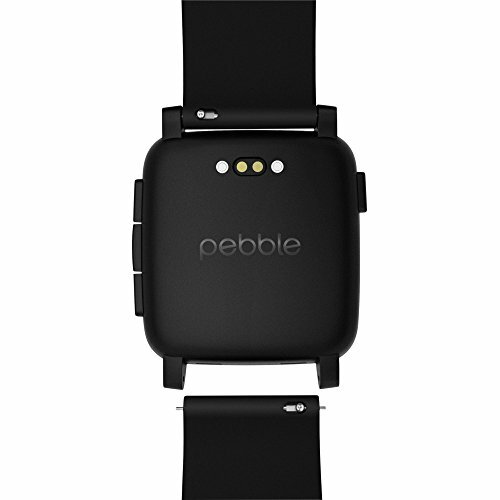 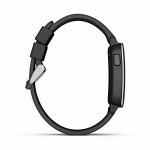 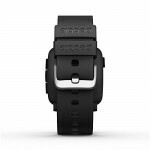 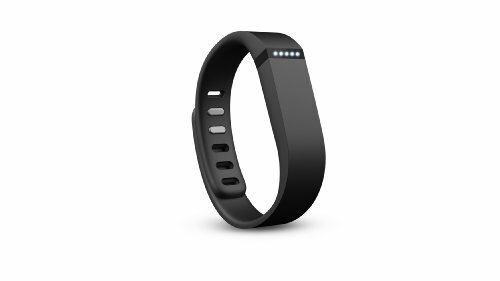 This particular model comes with a black silicone wrist band. 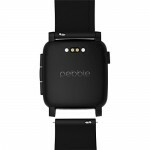 The Time is Pebble Tech’s latest smartwatch which – most importantly – incorporates a color display as opposed to the monochrome black and white display on the original model. 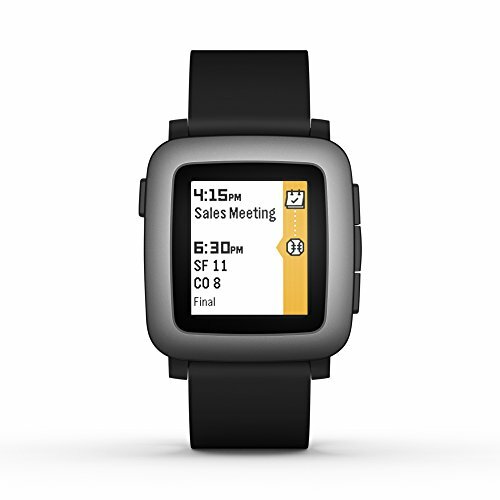 Don’t worry the updated display doesn’t affect what Pebble devices are best known for; battery life. 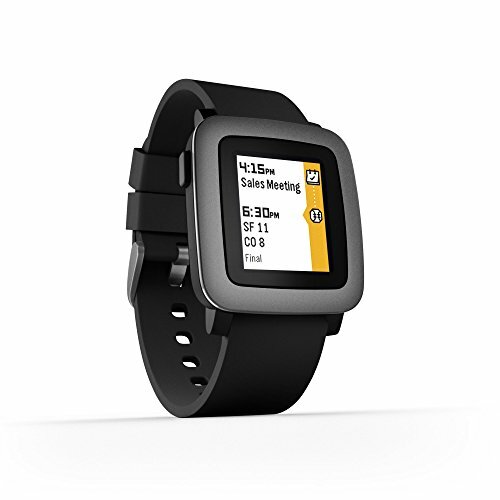 The Time is capable of up to seven full days of use on a single charge. Pebble also introduced a new interface called “Timeline” which simplifies notifications and navigation. 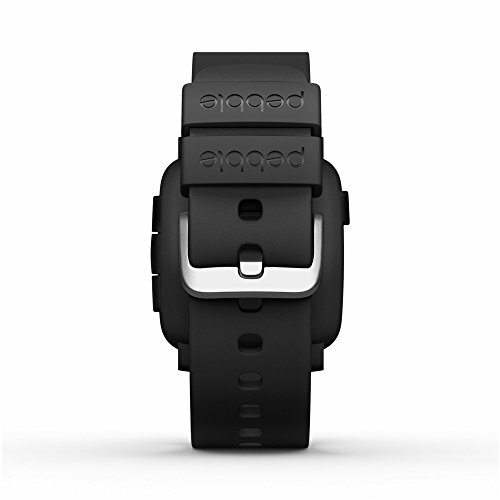 Everything is organized into a vertical timeline with the most important alerts taking precedence. 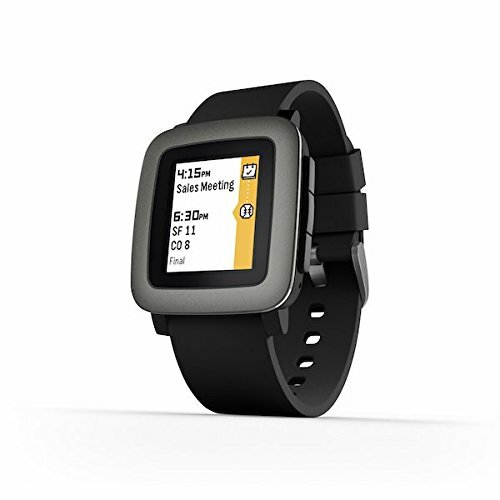 It works with both Android and iOS smartphones and is compatible with all existing Pebble apps and watch faces, with plenty of new ones to choose from, as well. 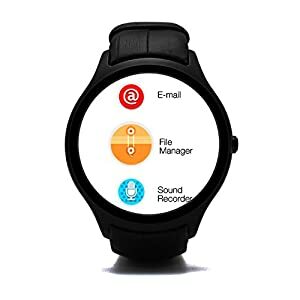 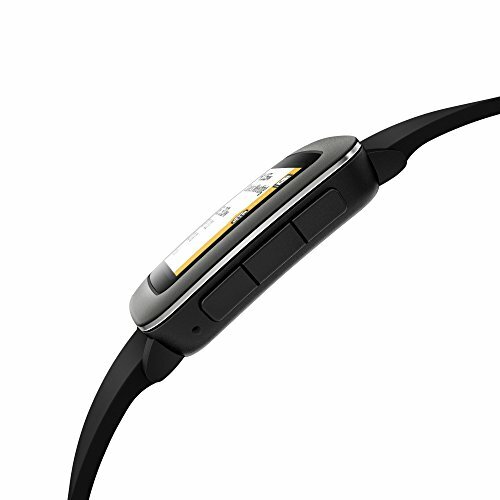 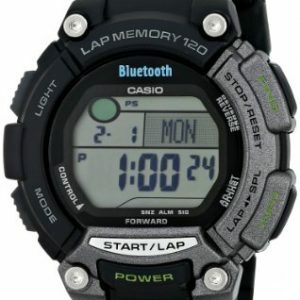 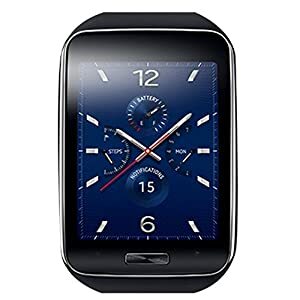 Additional features include three style options (colors), water resistance up to 30 meters, an integrated mic for voice commands and call support and more.